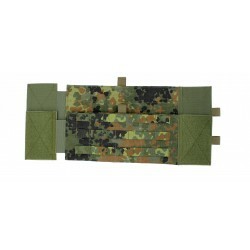 Small accessory pouch with zipper, patch surface at the front and MOLLE/PAL fastening on the back. 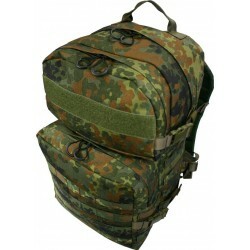 The bag can be opened completely and is made of Cordura®. Inside, there are two internal inserts to organizing. 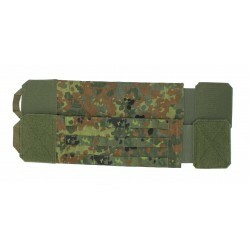 For use as a multipurpose bag for military, police, rescue and outdoor use. 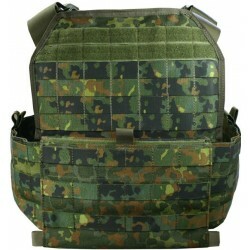 Manufactured according to TL or Mil Spec. The GP Pouch Mini is designed to accommodate small items such as disposable gloves, batteries and other small items. 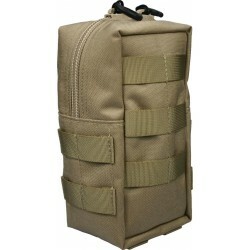 With our Faststick System you can attach this multi-purpose bag to MOLLE/ PAL systems. 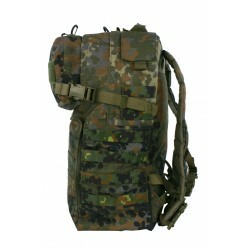 The bag can be easily attached to plate carriers, tactical vests and tactical belts. 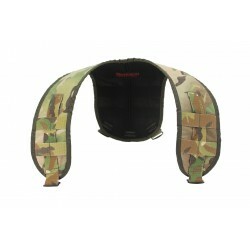 For better organization of the content you can open this pouch completely and use the two mesh inserts inside. 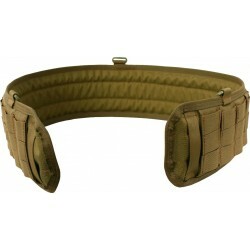 With our faststick-system it can be attached almost anywhere, from the IDZ vest over the Smart Belt to any other girdle. With the rubber pulls on 2-way zipper you can open this pouch even by wearing gloves easily. This makes our pouch to a little valuable companion.